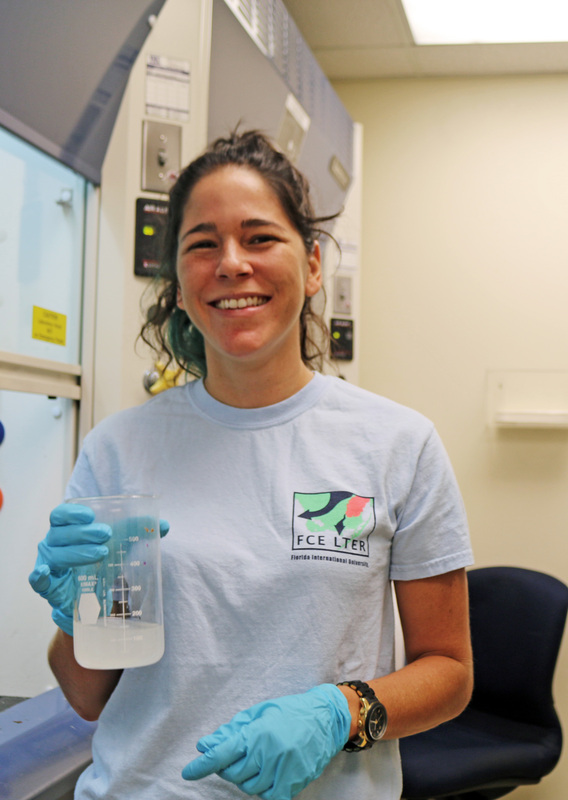 We are investigating how variability in regional climate, freshwater inputs, disturbance, and perturbations affect the coastal Everglades ecosystem. 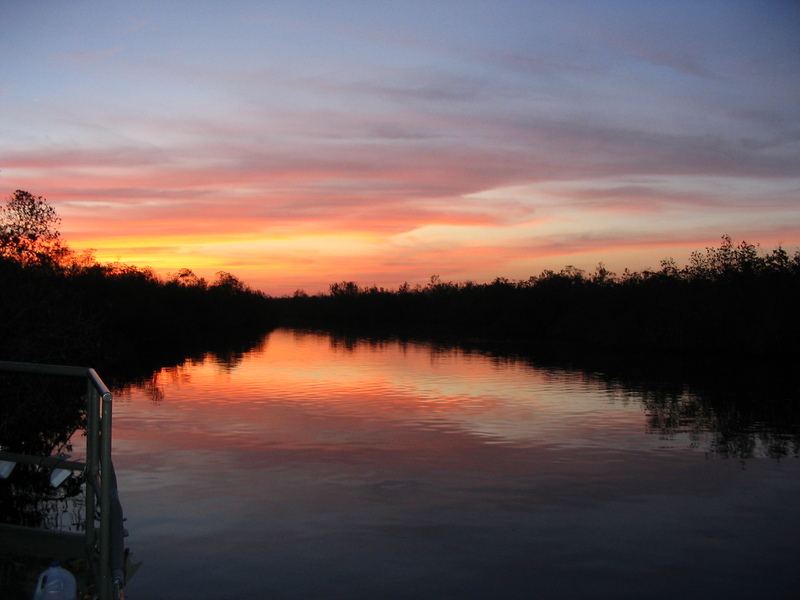 Our long term research program will focus on testing the following central idea and hypotheses: Regional processes mediated by water flow control population and ecosystem level dynamics at any location within the coastal Everglades landscape. 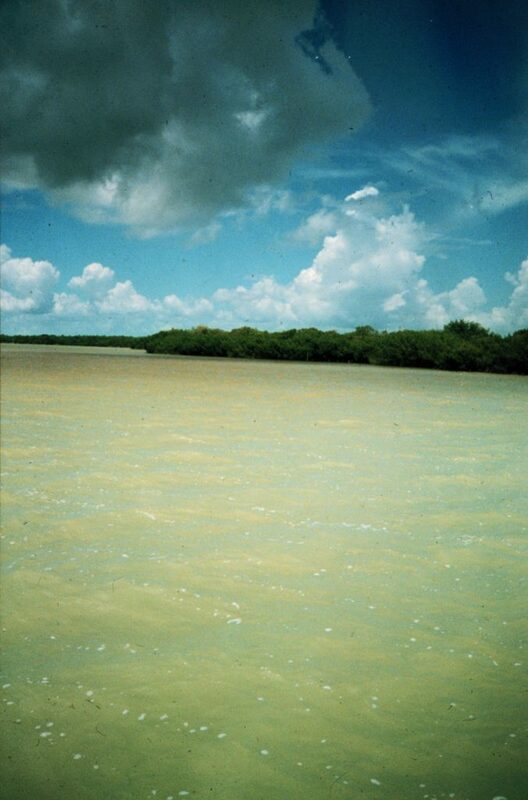 This phenomenon is best exemplified in the dynamics of an estuarine oligohaline zone where fresh water draining phosphorus-limited Everglades marshes mixes with water from the more nitrogen-limited coastal ocean. 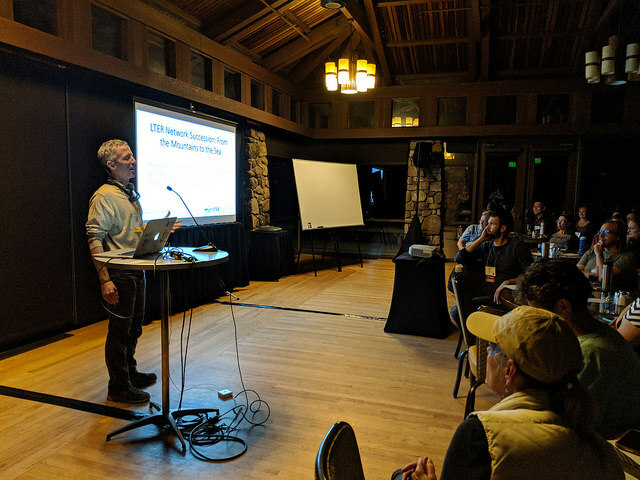 Hypothesis 1: In nutrient-poor coastal systems, long-term changes in the quantity or quality of organic matter inputs will exert strong and direct controls on estuarine productivity, because inorganic nutrients are at such low levels. 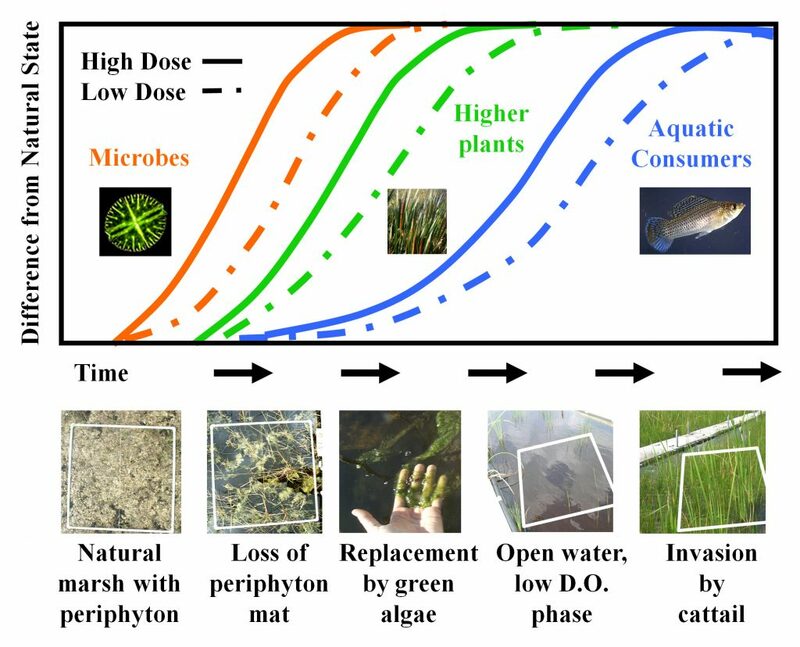 Hypothesis 2: Interannual and long-term changes in freshwater flow controls the magnitude of nutrients and organic matter inputs to the estuarine zone, while ecological processes in the freshwater marsh and coastal ocean control the quality and characteristics of those inputs. 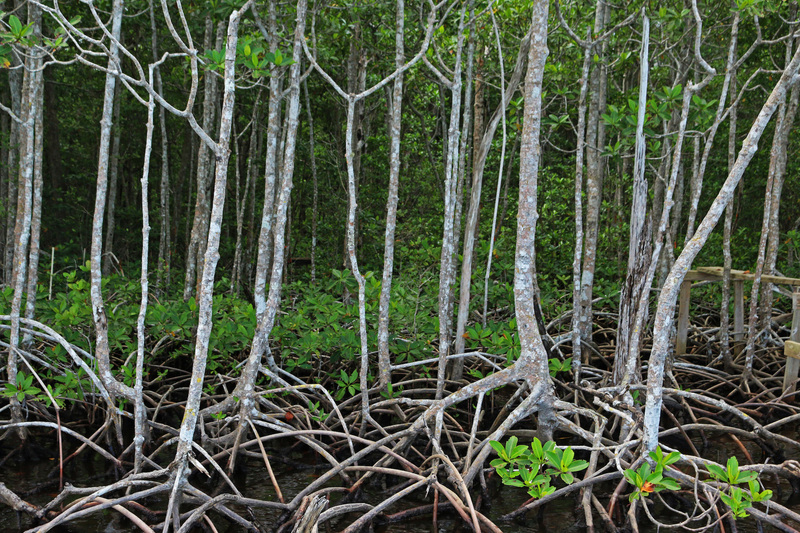 Hypothesis 3: Long-term changes in freshwater flow (primarily manifest through management and Everglades restoration) will interact with long-term changes in the climatic and disturbance (sea level rise, hurricanes, fires) regimes to modify ecological pattern and process across coastal landscapes. 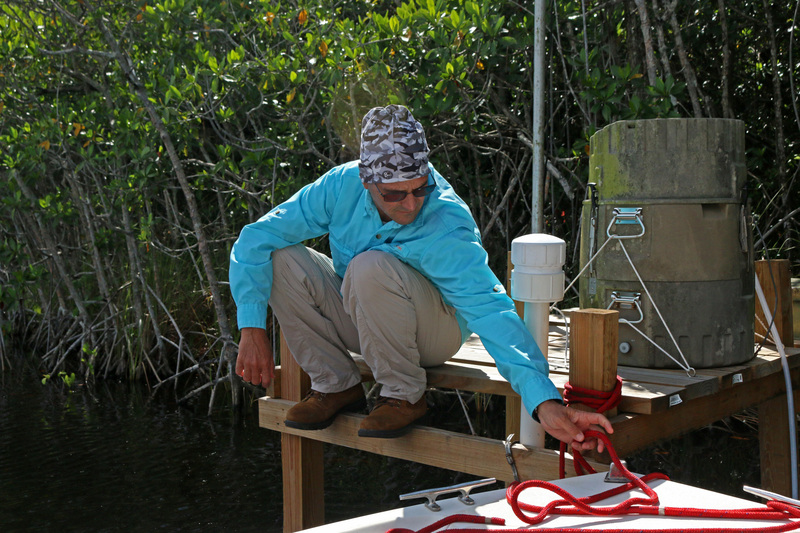 We will be testing our hypotheses along freshwater to marine gradients in two Everglades drainage basins (Shark River Slough and Taylor Slough). 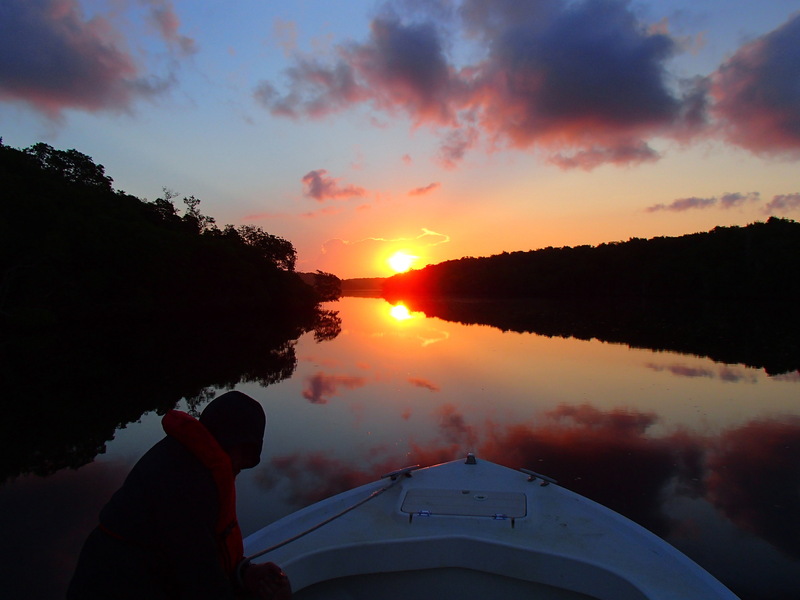 We have observed a clear productivity peak in the low salinity zone of Shark River Slough (SRS) but not Taylor Slough (TS). This peak appears to be the result of low P, high N freshwater meeting higher P, lower N marine water. 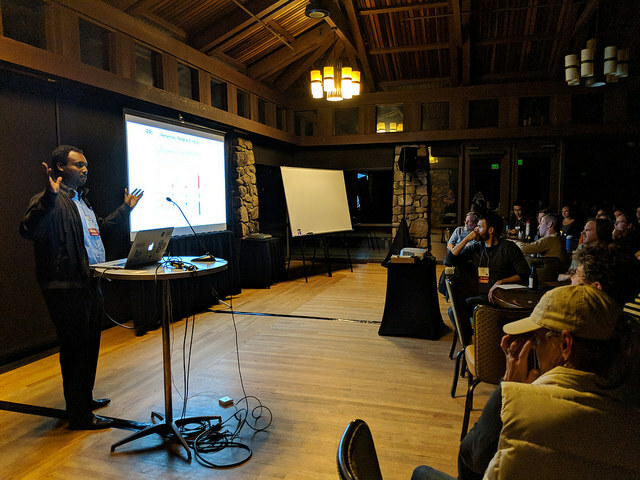 We will quantify nutrient regeneration from dissolved organic matter (DOM), and expect this to be a major contribution to this oligohaline productivity peak. We will also examine how this stimulus of the microbial loop affects consumer dynamics. 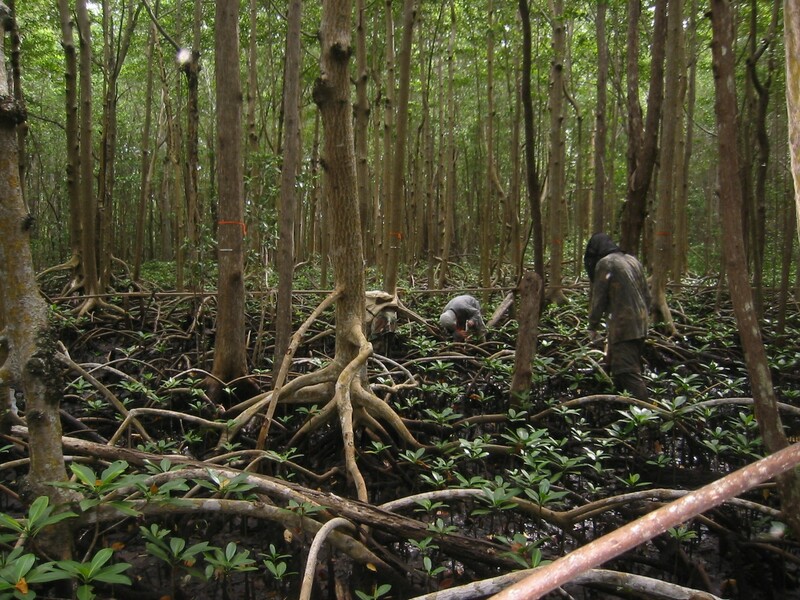 This LTER will thus focus on how changes in freshwater flow and climatic variability control the relative roles that nutrients and organic matter play in regulating estuarine and coastal productivity. 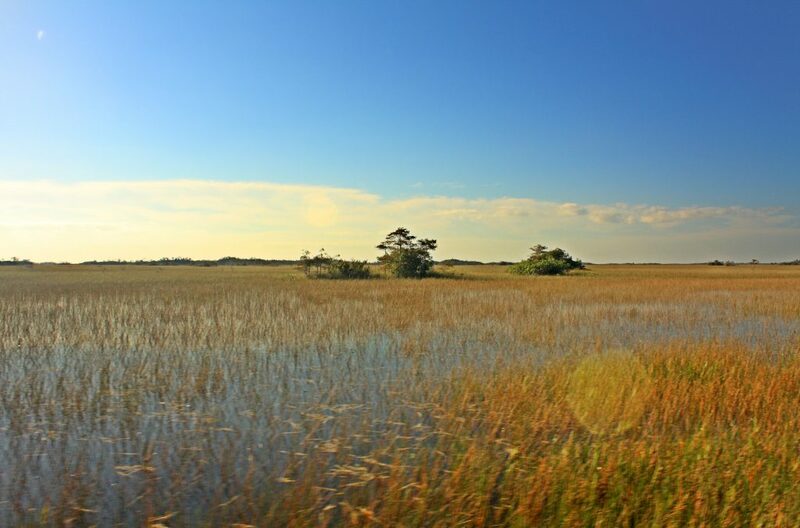 The majority of Florida Coastal Everglades LTER sites are located in freshwater marsh, estuarine mangroves, seagrass estuary ecosystems in Everglades National Park. 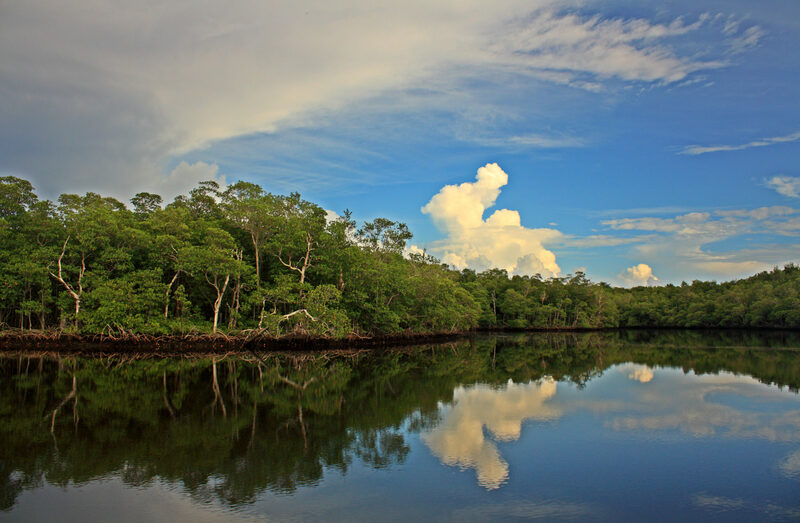 Everglades National Park covers approximately 4300 km² of south Florida and is part of the greater Everglades ecosystem which extends north to Lake Okeechobee and the Kissimmee River. 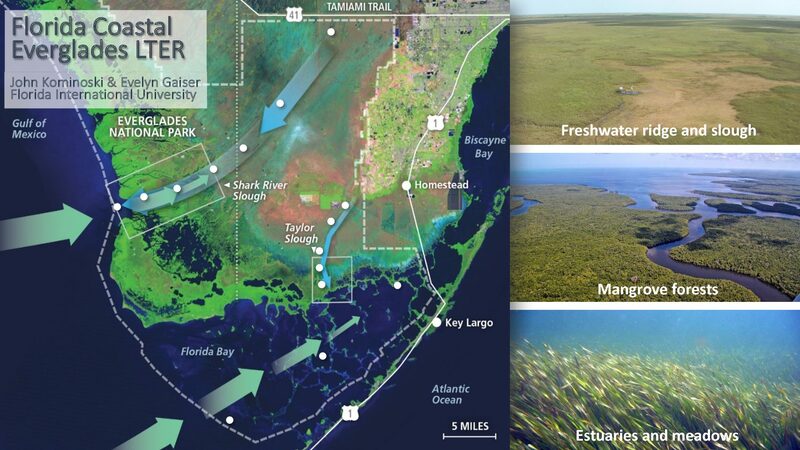 Our research focuses on understanding ecosystem processes along the two major drainage basins in Everglades National Park: Shark River Slough and Taylor Slough. 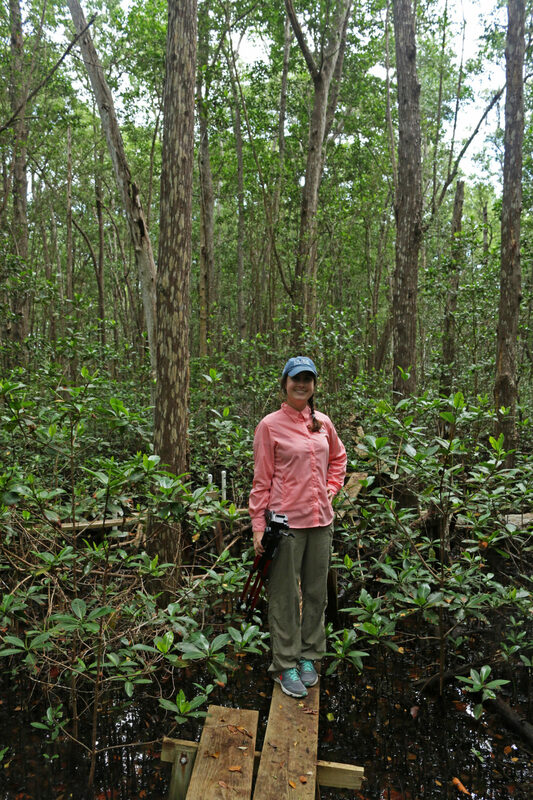 We are particularly interested in the dynamics at the estuarine ecotone, where freshwater and estuarine wetlands meet. 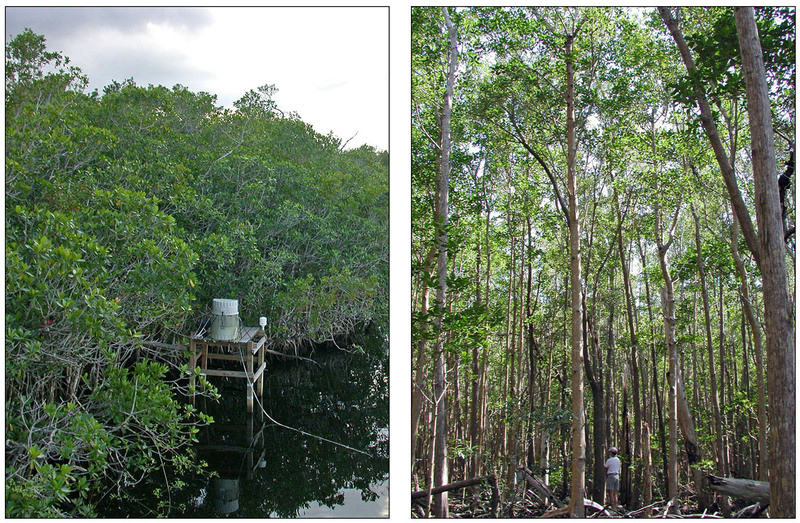 This ecotone is dynamic in the landscape in response to changing freshwater inflow (with Everglades restoration), sea level rise (climate change responses), and disturbance (particularly hurricanes and fire). The Everglades itself is also quite young, having been formed in the last 5000 years during the Holocene climate stabilization, as the southern Florida peninsula became steadily wetter. 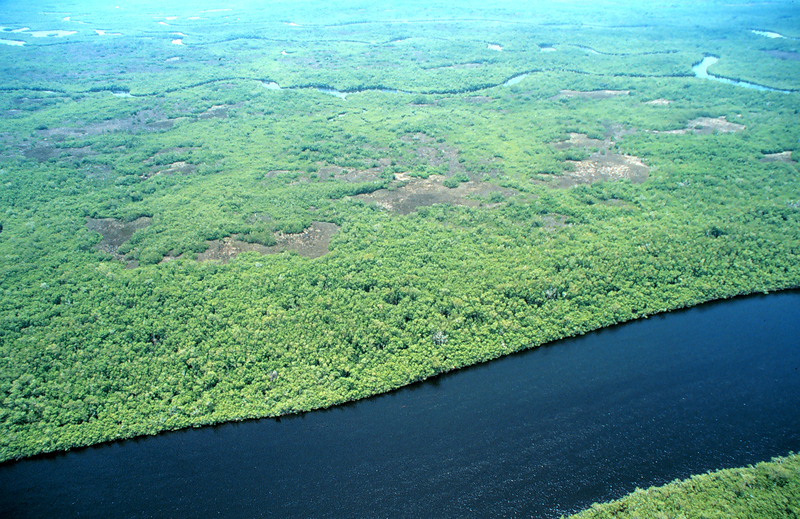 Human influence on the Everglades became significant only about 100 years ago. 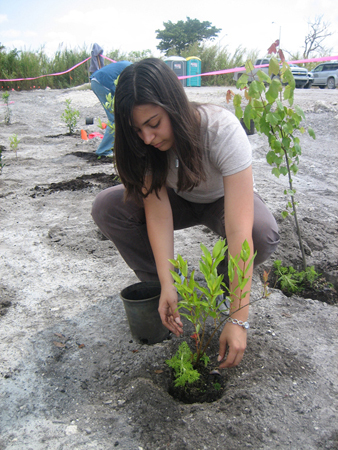 At that time, there were fewer than 2000 non-native people living in south Florida, while today there are over 6 million. In the intervening century, humans have dramatically altered the south Florida landscape. 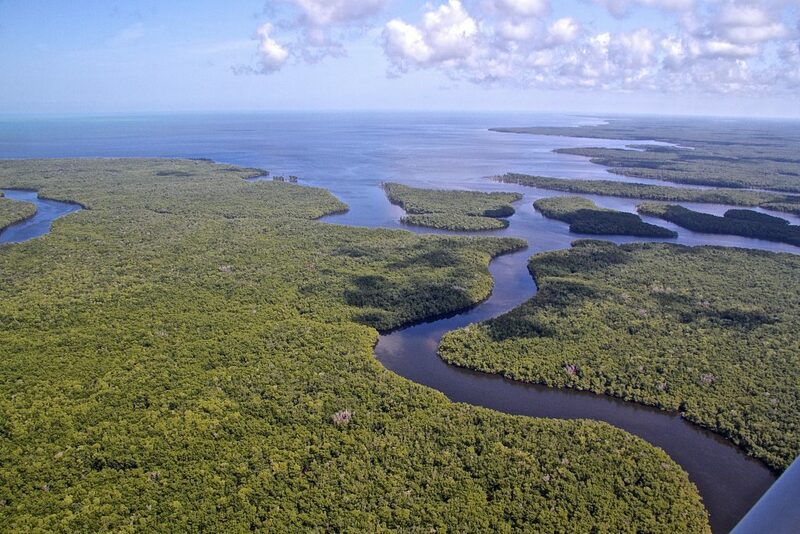 The remaining Everglades is only about half the size that it was in 1900. 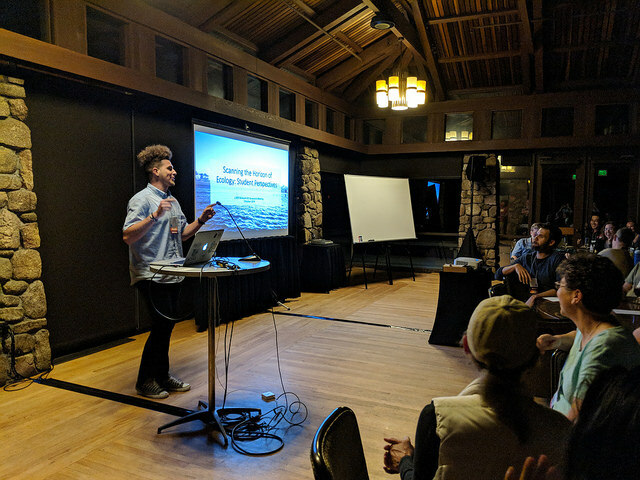 Over 2500 km of canals and levees, and hundreds of water control structures have been built to compartmentalize, drain, and manage the remaining natural system. 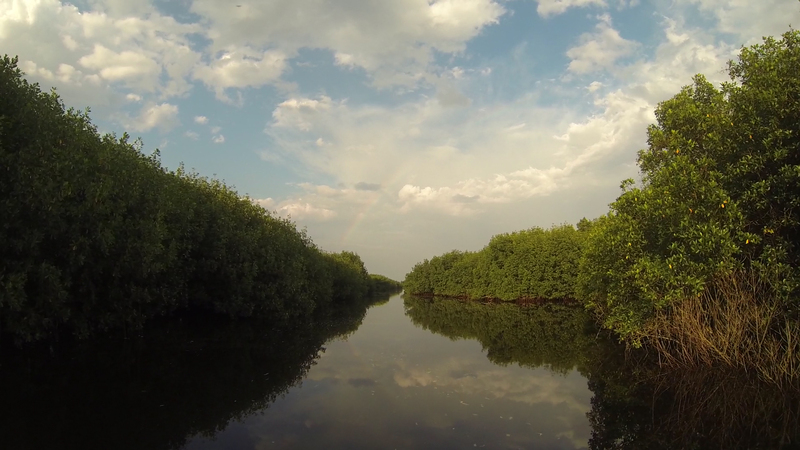 At the same time, 95% of the 6 million people living in south Florida get their drinking water from the shallow Biscayne aquifer, which is recharged in near real time by the Everglades. 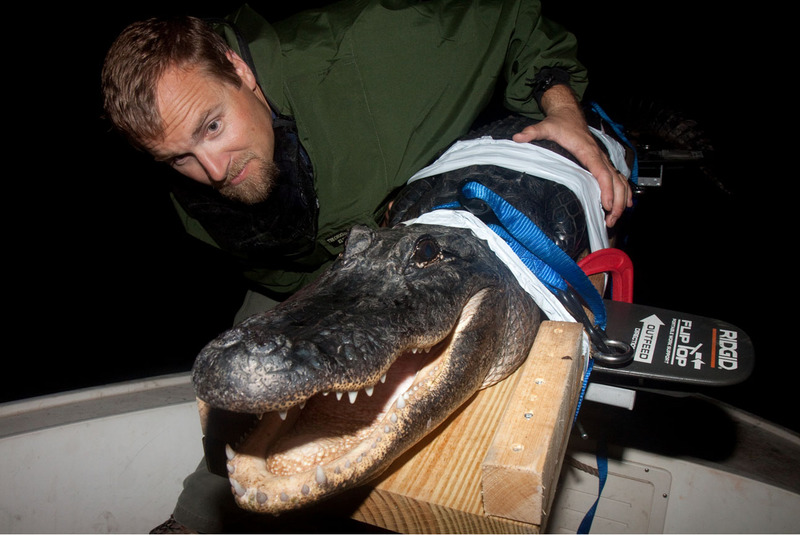 That the Everglades provides this critical ecosystem service is, surprisingly, not well known in south Florida. 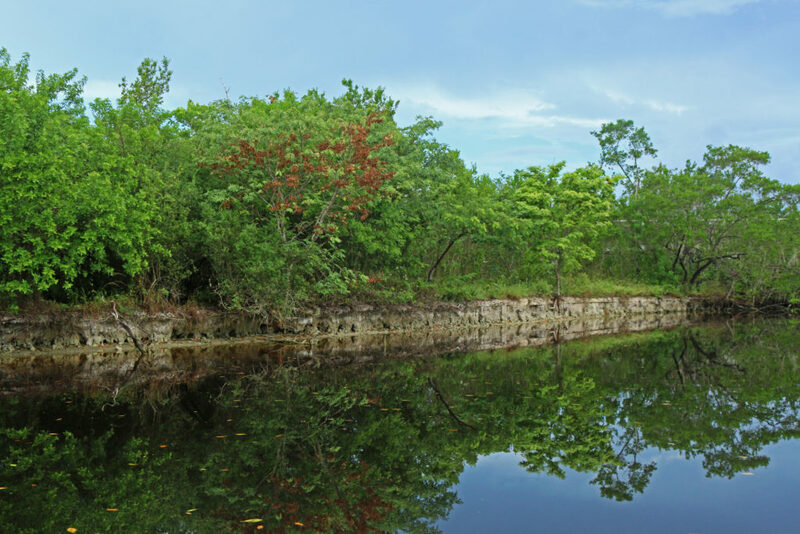 A primary focus of Everglades Restoration (a 20 year, $8 billion rehabilitation based on a state and federal partnership) is to return the remaining Everglades to a healthy and stable state so that it can continue to provide this, and many other, ecosystem services. 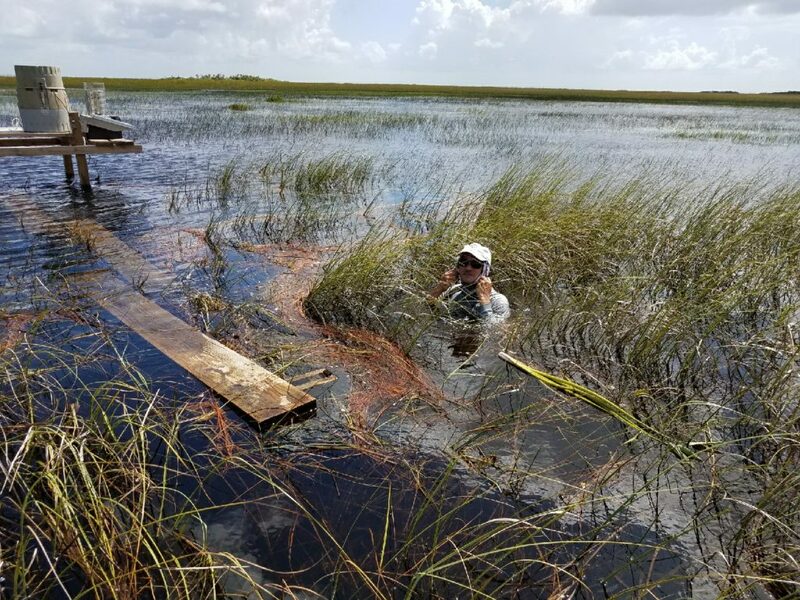 The FCE LTER Program is very much involved in this environmental rehabilitation effort, and will play an increasingly important role in Everglades’ science in the future.